Toothbrushes, toothpaste, razors, shave cream, winter hats, men’s socks, regular size deodorant, shampoo, bar soap, travel size lotion, wash cloths, towels. 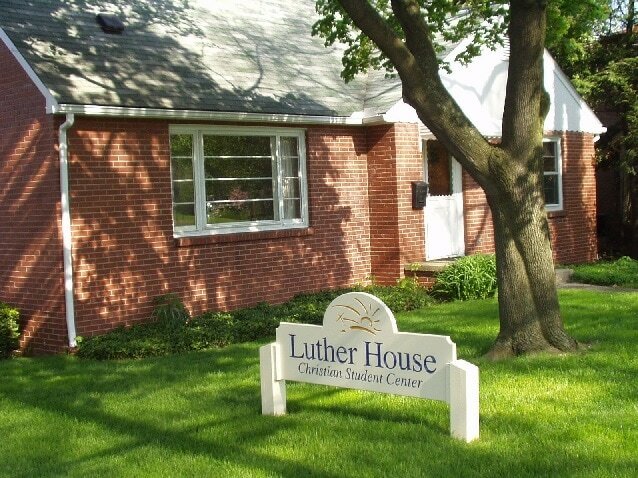 ​Thank you to all the volunteers who made the Luther House Chat & Chow a gourmet success feeding 20 students and Hope members. Chicken salsa makers, Sarah F., Donna M., Lisa B., and Cheryl T. (who also manned the kitchen) made a mouth watering main dish. Dan C. and Dave B. were the muscles that loaded, unloaded, loaded and unloaded all the supplies. Dawn G. added here culinary skills to make a great salad. Colin, Melissa, and Ava B. talked with students, made sure everyone had eaten, and helped clean up. Becky B. and Cheryl T. were the chief shoppers, while Dawn G. was the organizer. There were many interesting conversations with students, especially those from India, Iraq, Ethiopia, and Connecticut. The evening was a great witness to Jesus’ saving grace. WOMEN OF HOPE assembled Care Kits on Sunday, January 22 after the worship service. There were enough supplies to put together 35 kits to be sent to Lutheran World Relief. and to Thrivent Financial Action Team Funds. The Women of Hope meet monthly. Chat & Chow with international graduate students. Photos just uploaded. February - Café Tandor, Aurora, OH. Dinner at 6 PM. An encore appearance by Lutheran Campus Ministries, Sveran, a graduate student from India, and a few other KSU students will joined us. January - ﻿Tour ﻿of Women﻿ ﻿and Fashion Kent Fashion Museum.